Do you like to play Fortnite? We mean really like to play it? If so, you are not alone. Many people play it and play it a lot, including well-known musicians, actors, professional athletes, and, of course, lots and lots of kids! And we know why: Fortnite is fun! We also know, however, that not everyone thinks that video games that involve shooting people are a good idea, especially for kids and especially when there is already so much gun violence in American society. Consider that in less than 5 months of 2018, there have already been over 15,000 Americans that have been killed or injured by gun violence. more than 1,000 of them under the age of 18. That’s why we are in inviting New York City middle school and high school students to participate in our first Young Philosophers of New York Essay Contest. 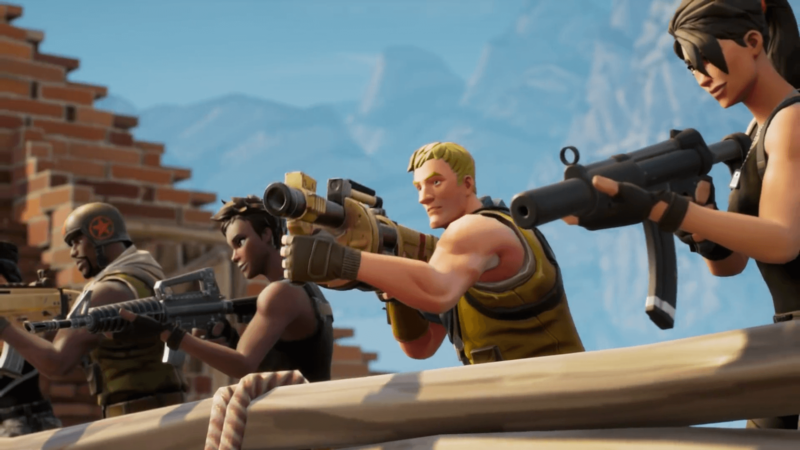 We want your perspective on Fortnite and its impact, if any, to the world beyond our screens. The contest is open to students currently enrolled in a New York City middle and high schools, and there is a separate question for each (see below). A winner and a runner-up will be selected from among each group of students. Deadline: Friday, June 15, 2018. The first page of the entry should be a cover page that includes a one-paragraph bio, your name, contact information (phone and email), grade and school. Your essay should begin on page 2 (please make sure your name is not listed on the pages containing the essay). Your essay should be saved as a word document (.doc or .docx file format). Begin your essay by telling us why you like Fortnite so much, and why you prefer playing it to other games. What makes Fortnite unique? Then, depending on whether you are in middle school or high school, address the relevant essay questions listed below. This part of your essay should a well-constructed, reasoned discussion of the questions raised. Your claims and conclusions should be supported by arguments and demonstrate that you have reflected critically on the issue and have taken into account arguments that are in opposition to your point of view. Recently, many young people across the city and the country have participated in ‘walk outs’ and marches to protest gun violence and to urge our legislators to effectively address it by banning certain kinds of guns and making others more difficult to obtain. Do you believe it is inconsistent or hypocritical for any of these young people to be playing a ‘first-person shooter’ game such as Fortnite? Does playing the game undermine their credibility as an advocate for gun reform? Should they be boycotting and protesting the game instead? Critically discuss. Some people worry that playing violent video games like Fortnite will encourage players to engage in real-world violence. Because the violence in the game is exciting and enjoyable to participate in, they believe that players might be less inhibited to engage in violence in their actual lives. Using your own experiences with the game, critically discuss what effects you believe playing Fortnite is having on your behavior and your interactions with family, friends, schoolmates and teachers. Do you see changes in yourself and in your friends that play? Are you getting into more arguments? Or are your friendships improving? Finally, the game’s manufacturers recommend it for ages 13 and older. Do you think this is appropriate? What age recommendations would you make, and why?